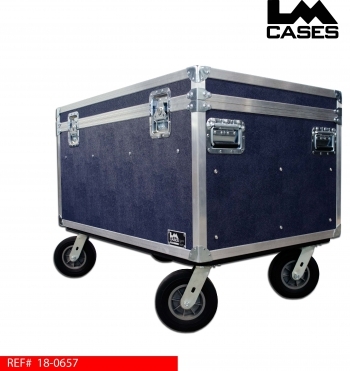 This case was built for Navy University Football. The trunk is designed to hold headset communication equipment and general accessories on the team’s sideline. 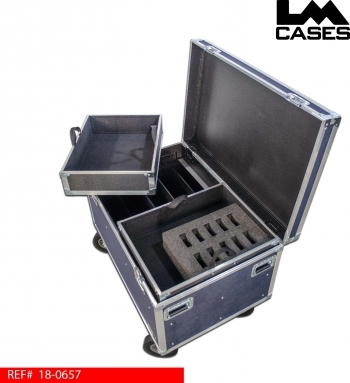 The trunk features 2 removable drop in trays. One drop in tray is open for general storage, the other tray has a CNC cut foam insert for 10 CoachComm belt packs. 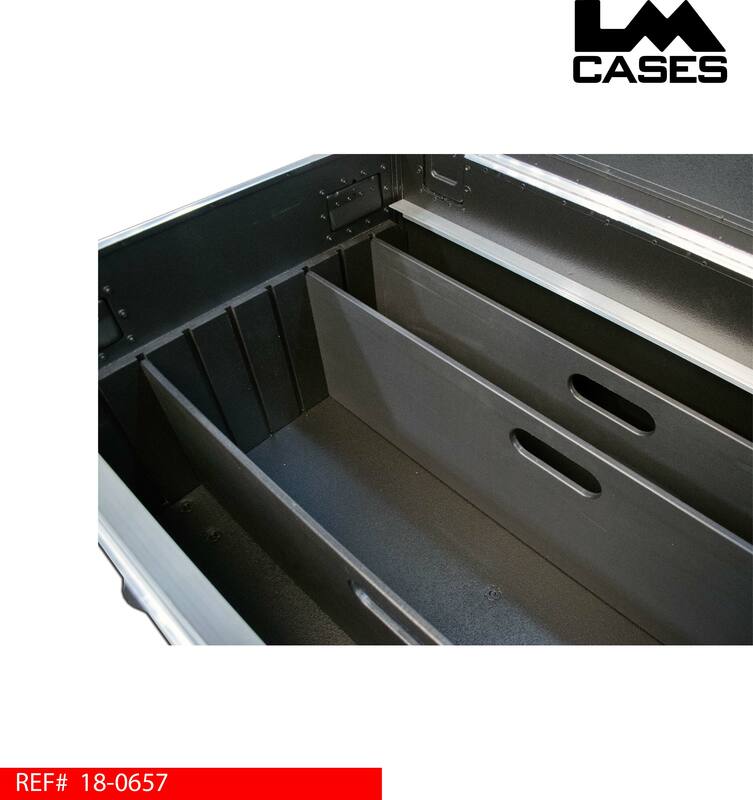 The bottom storage area features removable/movable dividers that create 5 compartments. The dividers are built out of ½” marine grade plastic. Each divider is CNC cut and features rounded corners and routed edges. 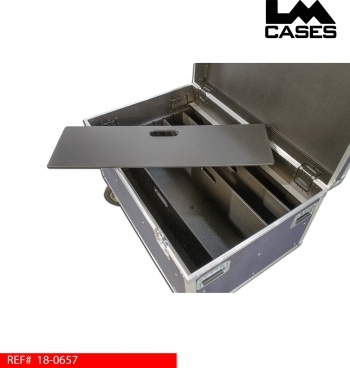 Notches are cut into marine grade plastic mounted on the sides of the case to receive the dividers. Multiple notches are routed into the side panels allowing the user to custom configure the divider placement. The case exterior is built with 3/8” plywood laminated with navy blue ABS plastic. The case features 8” field casters and OD truck pack dimensions of 45” x 30”. Special thanks to Navy University Football!